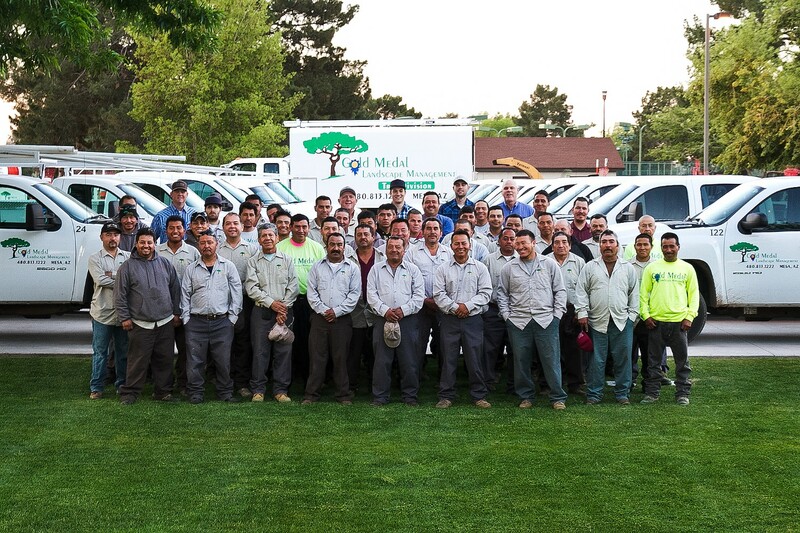 We are a full-service commercial landscape contractor with the experience and expertise to beautify your property and serve all your landscaping needs. We have been serving the Phoenix area since 1989. We’ve built our company around working with property managers and property owners. Our specialty is installing, maintaining, and improving the landscapes on commercial properties. Our expertise is maximizing the return on investment (ROI) you receive for your specific landscape budget. Our expert staff is waiting! It’s time to make your property the most beautiful property on the street! © 2019 Gold Medal Landscape Management.